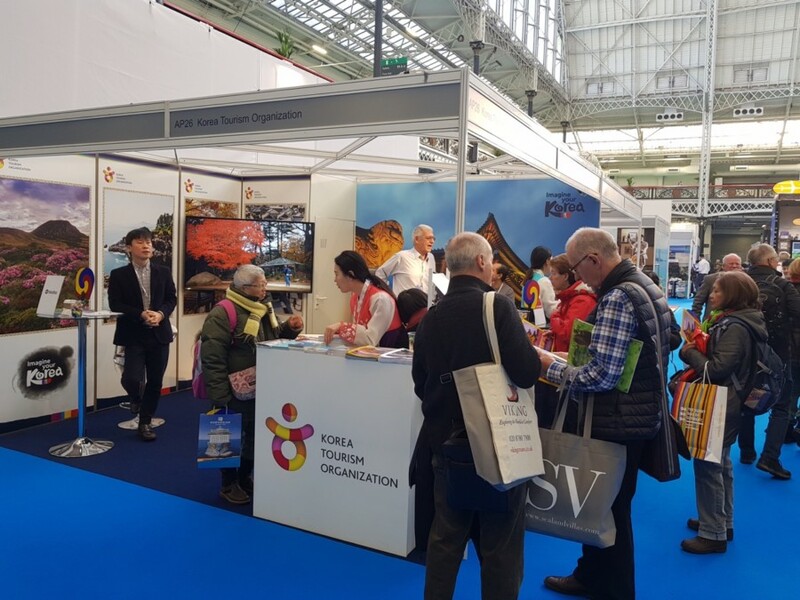 The Korea Tourism Organization (KTO) is participating in this year’s Destinations Show from the 31st of January to the 3rd of February at London Olympia. Destinations is the UK’s largest consumer-facing holiday and travel event, and the London section of the show drew over 50,000 visitors in 2018. Following a positive year in the international spotlight thanks to the Pyeongchang Winter Olympics and multiple inter-Korean summits, KTO will market direct to consumers at the event to build on the growing international profile of South Korea as an exciting travel destination. Particular focus will be given to regional travel outside of Seoul, as well as tours of the Demilitarized Zone (DMZ), which hosted both North and South Korean leaders last year and is the only border of its kind in the world. Representatives from three travel agencies – Hanatour, Holiday Planners, and People’s Travel – will join KTO at the stand to provide visitors with further travel information and the opportunity to make bookings. In addition to learning more about travel to Korea, visitors to the stand will also be able to collect souvenirs and enjoy on-stand activities. KTO can be found at stand AP26.